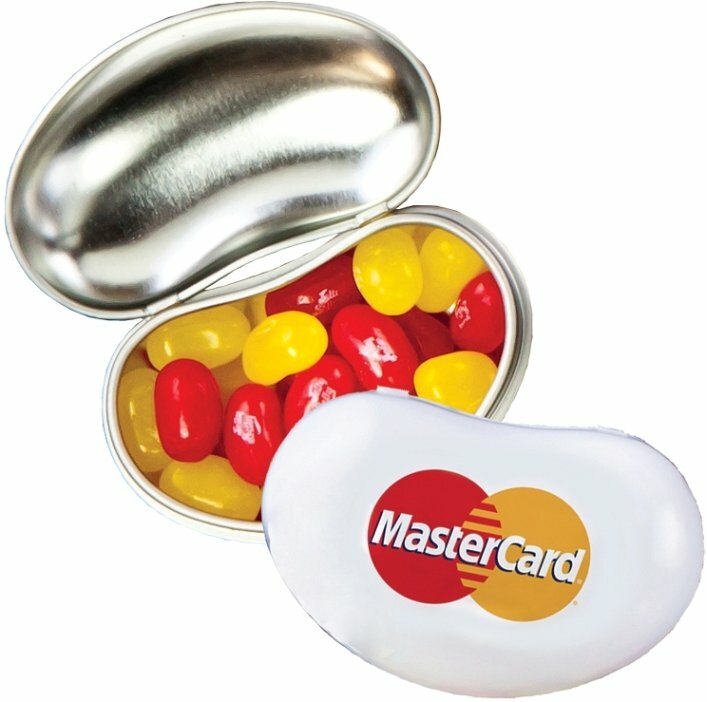 Satisfy customers with your logo 4CP printed on Original Jelly Belly® Jelly Bean Tins. Features include recyclable tin filled w/ one ounce of Jelly Belly® Jelly Beans. Overall size of the tin is 2 1/2 w x 1 1/2 h x 1 thick. Tins shrinkwrapped. Price includes almost unlimited print colors in area 1 1/2" w x 3/4" h.